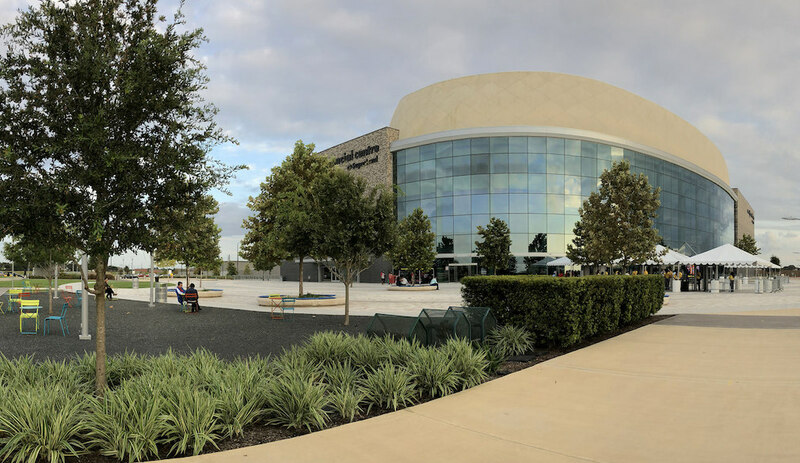 Opened in 2017, Smart Financial Centre at Sugar Land is one of the most recent additions to the Greater Houston venue scene and has quickly cemented its place as a major concert hall and event center, hosting globally-famous acts like Judas Priest, Julio Iglesias, Christina Aguilera, and more. Housing just over 6,400 seats, Smart Financial Centre also provides one of the most intimate concert experiences for some of the largest touring acts around. The smaller capacity also allows the venue to provide more niche acts alongside its lineup of renowned performers, like classic soul artists, international recording artists, and other special programming. Located in Sugar Land, Smart Financial Centre is just off the Southwest Freeway (I-69) and one exit south of First Colony Mall and Sugar Land Town Square, an outdoor shopping and dining area teeming with popular restaurants, enticing pre-show cocktails, modern hotel rooms, and shopping opportunities. With limited options for alternative transportation, however, be prepared for potentially long lines at the venue’s parking lots and delays when exiting the venue. With his seventh studio album, Fénix, Puerto Rican singer Nicky Jam crafted a reggaeton-slash-trap album that is an irresistible jammer. Watch him perform live at Smart Financial Centre in Sugar Land. Admission Tickets for his "Intimo Tour 2019" show range from $56 to $166, but you may find better, cheaper, or hard-to-get seats using the TicketNetwork online marketplace. The iconic Grammy-winning soul singer, Al Green, tours for the first time in seven years, performing his fan favorites like "Let's Stay Together" and "I Can't Get Next To You" from his seven-decade-long career in Sugar Land. Admission Tickets range from $59.50 to $199.50, but you may find better or cheaper seats using the TicketNetwork online marketplace. Jam out to the catchy tunes of British pop rockers The 1975 when they bring their North American tour to Sugar Land’s Smart Financial Centre. Admission Tickets start at $39.50, but you may find cheaper or better seats on TicketNetwork’s resale site. Sing along to a live show by the wildly popular South Korean boy band, NCT 127, who brings their "Neo City Tour" to Houston. Admission Tickets start at $94, but you may find cheaper or better seats on TicketNetwork’s resale site. The multiple Grammy-winning R&B artist, Lauryn Hill, continues to tour, performing songs from her debut album, The Miseducation of Lauryn Hill in celebration of its 20th anniversary. Admission Tickets range from $29.50 to $199.50, but you may find better or cheaper seats using the TicketNetwork online marketplace. See the eight-time Grammy Award-winning vocalist, Anita Baker, perform her farewell concert series at Smart Financial Centre in Sugar Land. Admission Tickets start at $89.50, but you may find cheaper or better seats on TicketNetwork’s online resale market. Treat mom to an evening of soul music with a live concert featuring The O’Jays, Stephanie Mills, Con Funk Shun, and El DeBarge at Smart Financial Centre. Admission Tickets start at $49.50, but you may find cheaper or better seats on TicketNetwork’s online resale market. The Puerto Rican reggaeton duo, Wisin y Yandel, have recently released their tenth studio album, Los Campeones del Pueblo: The Big Leagues, following a 5-year hiatus. Their reunited world tour stops by H-Town for a highly-anticipated show. Admission Tickets range from $39.50 to $350, but you may find better, cheaper, or hard-to-get seats using the TicketNetwork online marketplace.